I love Build-A-Bear workshop! I love that you can dress and accessorize your bear! And I'm not sure if you know this but you can also personalize your bears with a cute personal message. I think a personalized bear would be super cute for a baby shower, baby's first gift or even a special gift from a spouse. I know I would love for my hubby to get me a bear marking our wedding date :). Build-A-Bear is not only limited to bears they also have My little Pony, Zoo Animals, cats dogs and so much more. There is something for everyone. But the thing that has me most impressed with Build-A-Bear right now is the fact they are giving back with one very special Bear. And it is the Bear I will be talking about today. 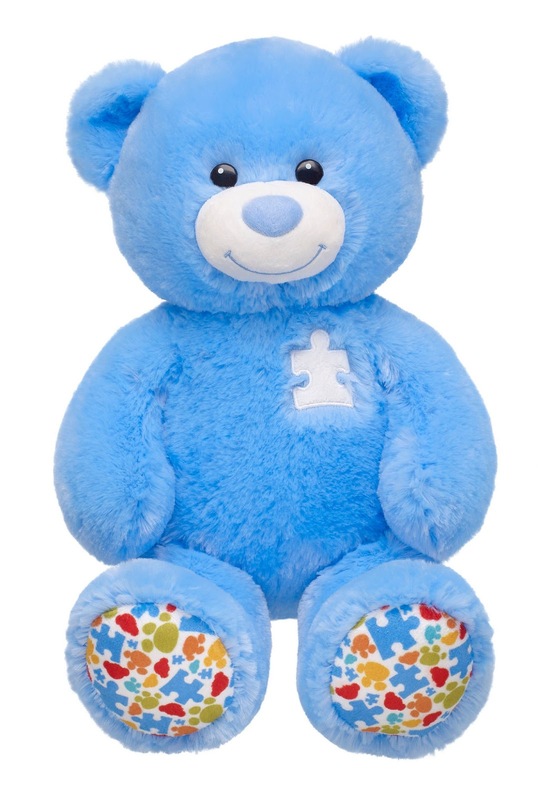 Autism Bear is a recently addition to their collect and for every bear sold $1 from the sale will go to Autism Speaks to help make a difference for children impacted by Autism. If you buy your bear a Tiny Tees shirt .50 will be donated and through out the entire month of April guest can donate $1 to Autism Speaks when they check out. I was def. in awe of this and I think its amazing that Build-A-Bear is helping to make a difference. This is not the first time Build-A-Bear has given back over the years they have supported many causes and helped to make a difference. My kids love this bear he is so cute they take him everywhere and I love knowing what he represents. I'm sure you can see by the cute puzzle pieces on his chest and feet that he proudly raises awareness about Autism. My kids named theirs Benny and Benny has been to baseball practices, grocery stores and even to a dentist visit. As of right now we are taking turns as to who gets to sleep with him each night. TO be honest this bear is so soft I want to cuddle up with him at night!! I'm a loyal customer of Build-A-Bear and I can tell you from all my purchases these stuffed animals are built to last. They are high quality and never once did I have a tear in any of my bears!! They are so fun to shop for and my kids always have huge smiles on their faces when we buy their bears new clothing. Before the Autism Bear I thought Build-A-Bear was a fun and good company. And now that I know they give back and make an effort to help other I think they are amazing and to be honest I'm a bit in awe of them! And today 1 Very Lucky Simply Me follower has the chance to win a $25 Gift card to Build-A-Bear workshop!! Your must be 18+ to win and live in the US. 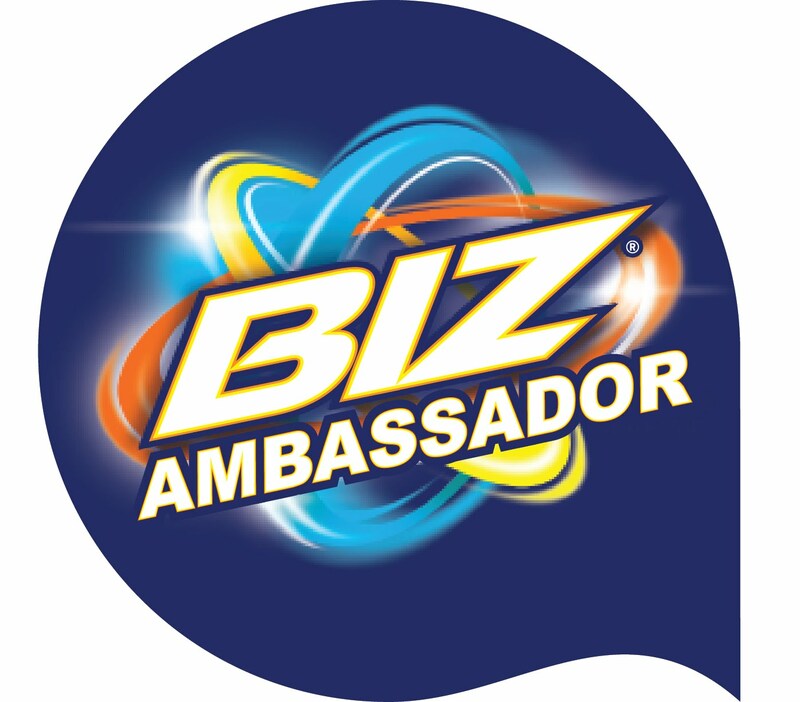 Disclaimer: I was given the above product for the purpose of review. I was in no way paid to write this review. All opinions are my own.